This sauce looks bland from here. I know. All that white. But its totally not. I've had a jar of it in the refrigerator for the past week, and it's one of those things that makes just about everything you put it on (or in) better. 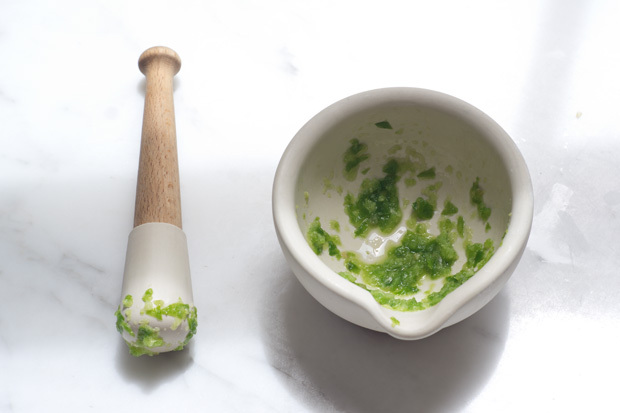 I go about making it in a mortar and pestle, but have done it in a food processor or blender in the past when I'm short on time. We're talking about garlic and green chiles worked into a paste, then bulked out with lots of scallions and cilantro. Coconut milk is the base, and the creaminess is balanced out with a good amount of fresh lemon juice. Here's my list of how I've used it - this recipe makes a couple of cups, and it is quite rich, so a jar goes quite a distance. 1. 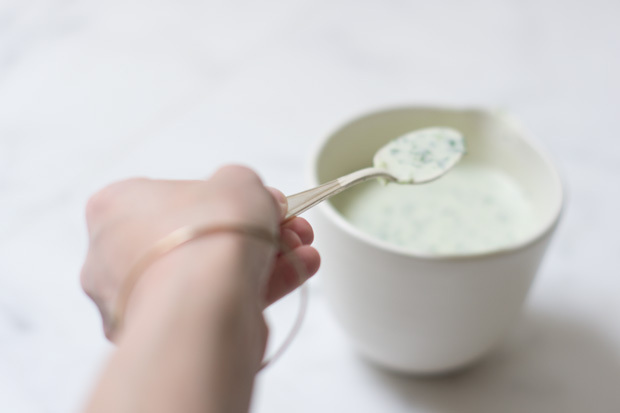 Swirled into a simple pureed asparagus soup. 2. Small dollops on top of a frittata. 3. Whisked into scrambled eggs. 4. Inside a version of these spring rolls. 5. Thinned out with a bit of broth in a saucepan, I then sautéed a couple handfuls of broccoli in it, added tiny pieces of tofu, a couple big spoonfuls of cooked quinoa, and some toasted almonds. Dinner. 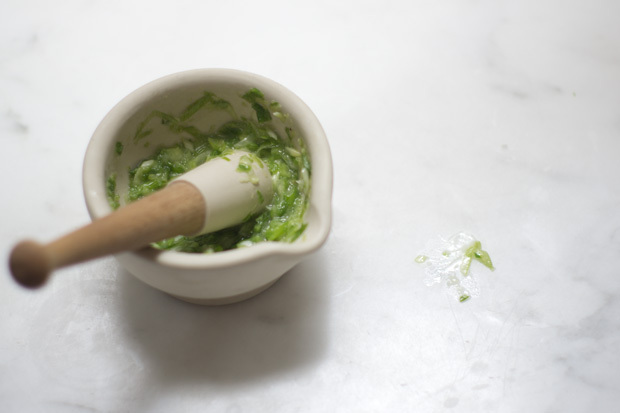 In a mortar and pestle, smash the garlic and chile into a paste along with the salt. Alternately, you can use a food processor or blender. Add the oil and the scallions, and smash or chop a bit more. 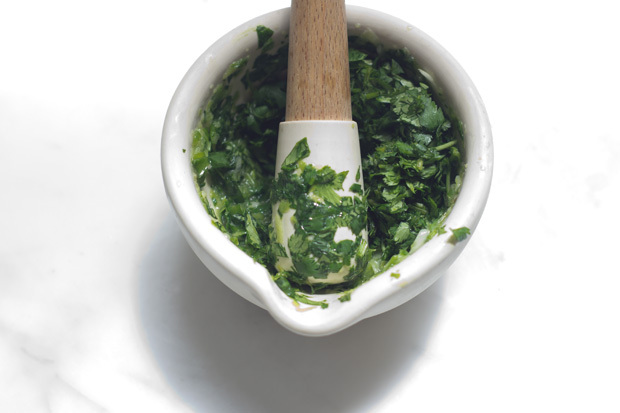 Add the cilantro, pulsing the food processor / blender (if you're using it) just a few times. Transfer the mixture to a jar or bowl, and whisk in the coconut milk, then the lemon juice. Taste, and adjust with more salt or lemon juice if needed. Store in a refrigerator for up to a week. A vibrant ginger grapefruit curd recipe & scans from my Marrakesh photographs.